Slow Cooker Balsamic Pork | Om nom nom! 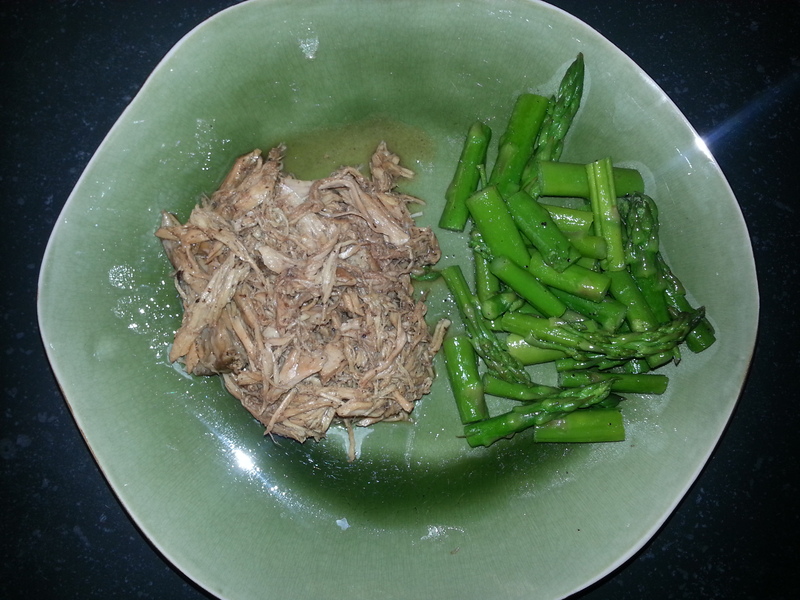 This wasn’t a bad crock pot recipe, and is worth trying again. It originally came from Skinnytaste, and needed some extra seasoning. But through no fault of the recipe, I managed to grab the wrong kind of roast by accident. So it was a lot saucier/more watery than originally intended. If I hadn’t been so lazy, I probably would have bothered to thicken the sauce, but it was fine as is. Definitely has potential with more seasoning – I think some veggies in with the roast would be great as well. We served this with steamed asparagus.